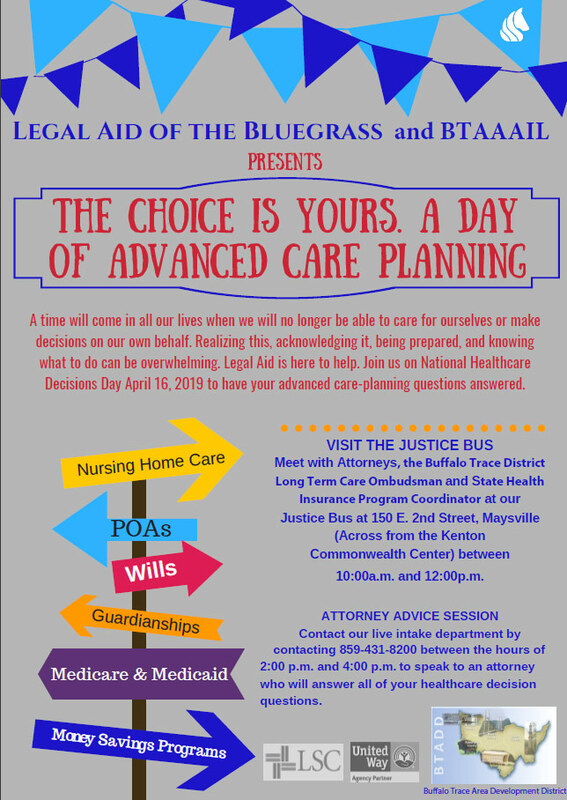 Legal Aid of the Bluegrass and BTAAAIL present The Choice Is Yours – A Day of Advanced Care Planning. A time will come in all our lives when we will no longer be able to care for ourselves or make decisions on our own behalf. Realizing this, acknowledging it, and being prepared, and knowing what to do can be overwhelming. Legal Aid is here to help. Join us on National Healthcare Decisions Day, April 16, 2019 to have your advanced care planning questions answered. Meet with attorneys, the Buffalo Trace District Long-Term Care Ombudsman and State Health Insurance Program Coordinator at our Justice Bus at 150 E.2nd Street — across from the Kenton Commonwealth Center — between 10 a.m. and noon. Contact our live intake department by contacting 859-431-8200 to speak to an attorney who will answer all of your healthcare decision questions. Get started today! 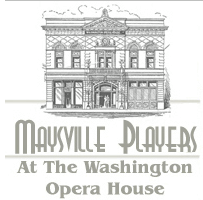 Download the Healthcare Decision Information page here.